Whether you want to record a tech or sports podcast, recording a podcast is usually easy. Set up a mic, start the audio recorder, and you are good to record. However, the tough part comes after the podcast is recorded and goes on the editing table. 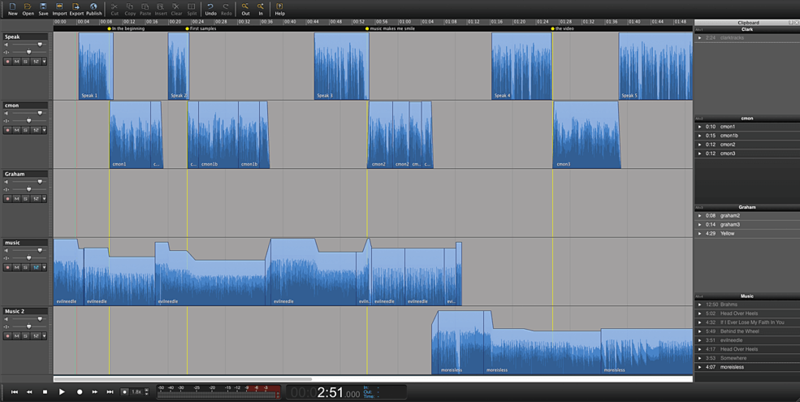 Depending on the type of podcast, one may spend a good amount of time editing the podcast to keep only the best bits for the audience. While we cannot help you with the editing work, what we can certainly do is help you find the best software for editing podcast that will make your work a little bit easier. 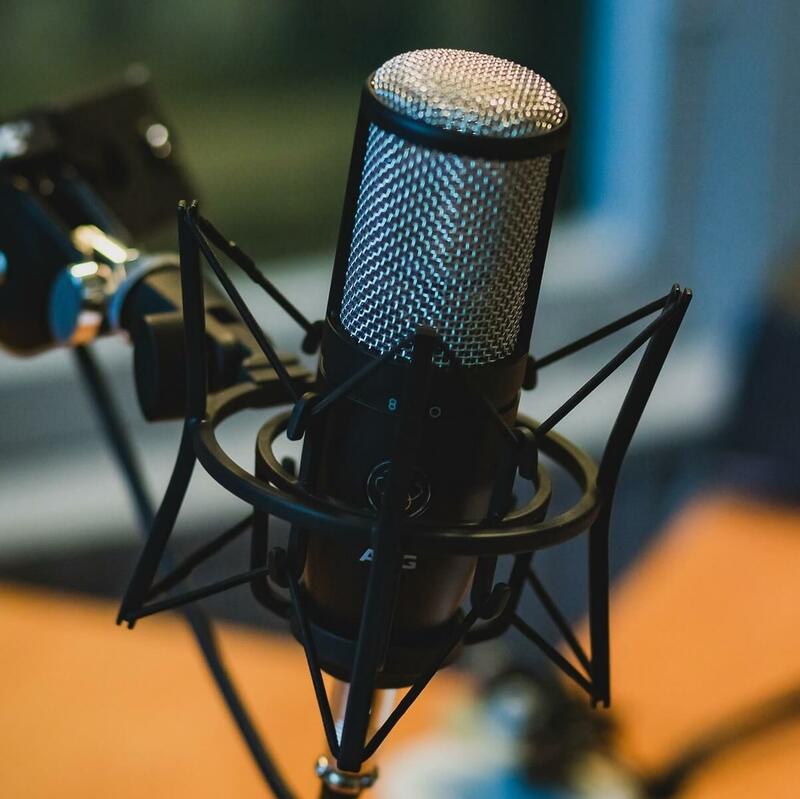 There are quite a few digital audio workstation available for you to edit podcasts, and some offer useful features like voice changer, text to speech and higher sample rates. In this article, we have gathered some of the best podcast editing software that are easier to use while offering adequate tools to edit podcasts. What software should I use to edit my podcasts? 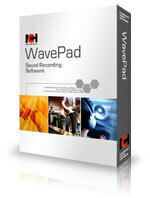 WavePad is a professional grade audio editor coming from NCH software known for its excellent multimedia software. The standard version of WavePad Audio Recorder starts at $29.99 while the master edition costs $49.99 as of writing this article. WavePad is feature rich but doesn’t overwhelm the users with its feature thanks to its intuitive user interface. The basic podcast editing tools include cut, copy, paste, insert, silence, auto-trim, compression and pitch shifting. You can add audio effects like amplify, normalize, equalizer, reverb and more to the podcast as well. It also supports audio formats like VOC, gsm, WMA, real audio, AU, AIF, etc. 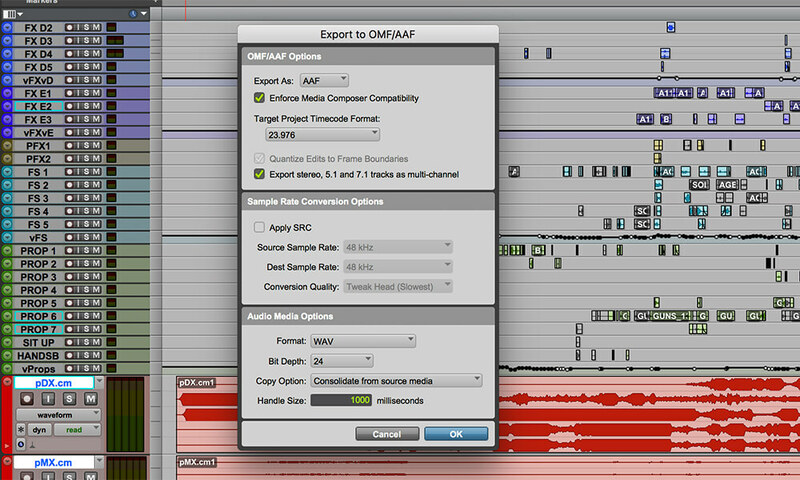 Wavepad makes the import process that much simpler. The batch processing features enable you to apply effects and convert multiple files as a single function. Then there is a bookmark feature for easier recalling and assembling of segments in audio. Advanced features in the tool include spectral analysis, text to speech, voice changer and sample rates up to 192khz. The free version of WavePad can be used for non-commercial use and includes many of the features from Master’s edition which can be easily upgraded to Master’s or Standard edition if needed for commercial use. Adobe acquired Cool Edit Pro in 2003 and renamed it as Audition. Many professionals are currently using Adobe Audition alongside other Adobe editing software like Premiere Pro for video editing. Adobe’s audio editor is immensely powerful yet intuitive to use at the same time. It is among the best Digital Audio Workstation you can buy for the money. 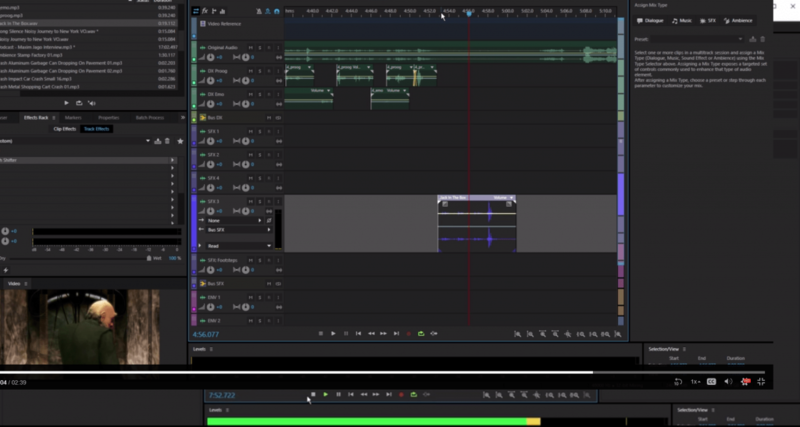 Adobe Audition offers features like multitrack recording that allows you to record on multiple tracks using multiple microphones for productivity, ability to apply effects to clips or entire track, adaptive noise reduction, spectral analysis to rub out background sound and batch processing to apply effects to multiple files with a single click. The Essential Sound panel makes the process of adding an effect like in Make Distant or Over the Intercom much easier especially for the beginners. Besides, you can adjust and match loudness using the controls. 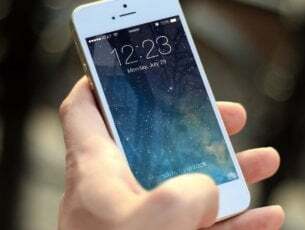 It can also repair the audio using repair and restoration tools. Audition supports a good number of audio file inputs including AAC, AU, FLAC, MP4, MP3, etc. Adobe Audition is a powerful tool and offers the flexibility required to edit podcast and music. However, for beginners, take a look at our next suggestion to learn the basic of audio editing before you try to upgrade to Adobe Audition. If there is a discussion on audio editors anywhere, Audacity will make the entrance by default. 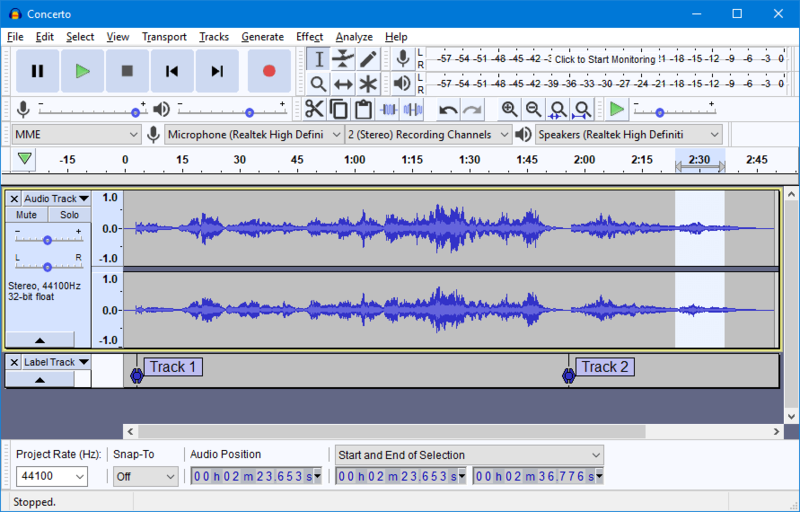 Audacity is a free open source audio editor developed by a group of volunteers. The biggest strength of Audacity is its usability despite its huge collection of editing tools. Even a beginner can start using the tool for the basic audio editing task in no time. If you dedicate more time, you can make use of its other advanced features as well. Like many DAW software, Audacity also comes with VST, LADSPA, LV2, Nyquist effects plugin support to extend the functionality. You can use it to record podcast, remove background noise, apply effects, cut and combine clips and more. The results show no compromise whatsoever and is on par with many premium software in the same category. 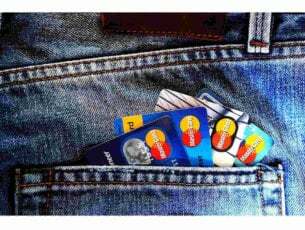 It is a multi-platform software so you can use it on Windows, Linux as well Mac OSX. Audacity also supports multiple file formats for import. You can further customize the track with smooth fading, humming and syncing. There is a batch processing option as well to apply effects to multiple tracks at once. Audacity is an excellent audio editor and a great free alternative for beginners as well as professionals who can’t afford a premium audio editor yet. Pro Tools is an industry standard professional audio recording and editing software that can be used by both professionals and home creators. For traditional studio engineers, Pro tools offers the best upscale audio recording and manipulation tools for a long time now, and over the years the developers added more advanced features to make it a complete DAW software package. Avid also offers a free limited version of the tool called Pro Tools First that allows you to create up to 16 audio tracks for free. It also gives access to all the music creation and editing tools along with 500 MB of loops and excellent sound effects. Pro Tools is not just a podcast editing tool, but a music creation software as well. In addition, it also allows the pro users to collaborate with other Pro Tools users and create a collaboration project. Being a DAW software, Pro Tools comes with tons of virtual instruments, MIDI enhancements, samples, sounds and more to keep your creativity flowing. Pro Tools supports a number of file formats including AAF file, XVAC Long GOP files and 1080p50 files to make it easier for audio editing and mixing task in case the tracks use different formats. The latest version comes with audio manipulation features such as batch fades, and commit. The lack of VST plugin support can be a deal breaker for some audio producers. Pro Tool certainly isn’t targeted at beginners, however, do give the Pro Tools a shot to see if it is something that you are looking for. You can always opt for the premium plan later. Hindenburg Journalist is one of the underdogs in the podcast editing or even audio editing software market. It is a premium software that starts at $95, but you can get the free 30 days trial to test it out. If you are into radio journalism, Hindenburg Journalist can be the right choice for editing and producing audio tracks. It is a multitrack editor and looks like any other audio editor from the UI. Hindenburg Journalist can record uncompressed audio that can be used to produce the best quality tracks when on the editing table. With support for multiple audio formats, Hindenburg can play any format while taking care of sample rates, bit rates, and stereo and mono files. Apart from the basic editing features like cut, copy, paste, replace, insert and other tools, it also comes with sound adjusting features that include the ability to create EQ for out-of-the speaker sound. Hindenburg also comes loaded with Sound Cloud and Libsyn integration for uploading podcasts directly from the software. Hindenburg Journalist is an excellent tool and supports multiple platforms. Being a podcast editing software, it offers unmodified audio files, automated levels and voice profiler with other essential features. 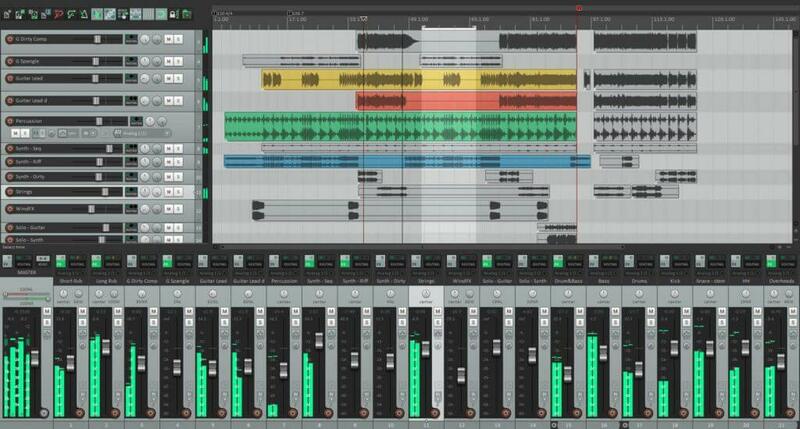 Reaper is multi-channel audio recording software that can be used for recording and mixing purposes. 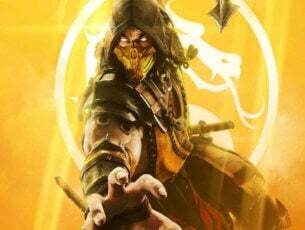 For the features on offer, Reaper is reasonably priced at $60 for individuals. The user interface of Reaper is not the most intuitive as it starts with a blank canvas and leaves the user guessing where to start. However, the software is fast and highly efficient when it comes to the editing and mixing of tracks. Reaper offers all the basic audio editing features like copy, paste, insert and effects. However, it does miss out on built-in virtual instruments and loops. The latest version of the Reaper comes with new features that include Notation editor, support for VST3 plugin, FX browser improvements, FX parameter automation, and media explorer improvement, etc. 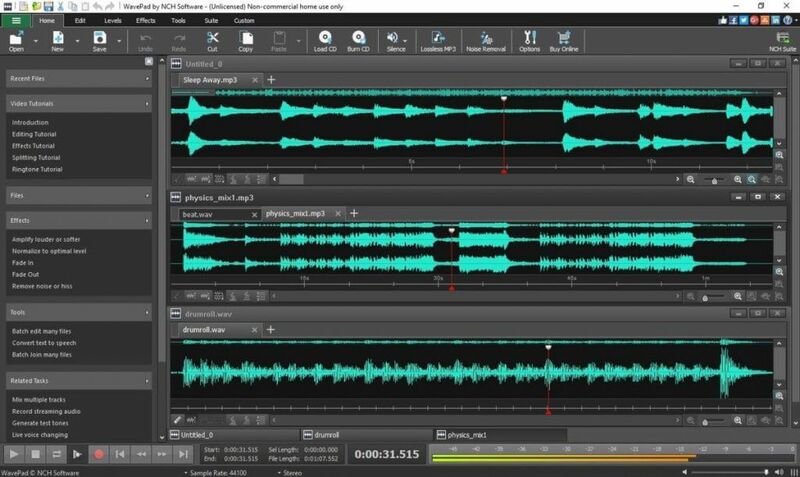 Reaper is a highly flexible software that offers some of the best tools for audio editing at a fraction of the cost when compared to other premium DAW software. Make sure to grab the free evaluation copy before making the purchase. There are tons of DAW software, and we have mentioned a few of them earlier in other recommendations, however, for this guide, we tried to find the software that can help you edit a podcast or voice over for a video. Audacity is a free audio editor and is suitable for beginners. WavePad editor, on the other hand, offers an improved set of functionality at an affordable price tag. If you work with Adobe Creative Cloud tools, then Adobe Audition will serve you best. If you want something more sophisticated and a podcaster with high production value have a look at Hindenburg Journalist. What do you think? Do you use any of the software mentioned above or prefer a different podcast editor? Do let us know your pick in the comments below.